October is my favorite month. 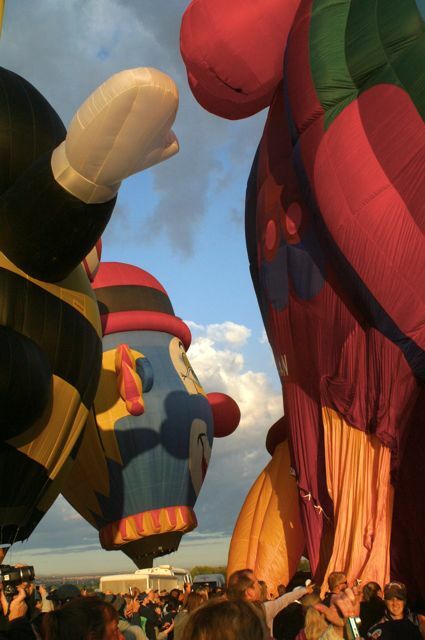 The weather is perfect, the sky is still bright, and there’s a lot happening here in the Land of Enchantment. It’s the season of harvest and gold and dying things. 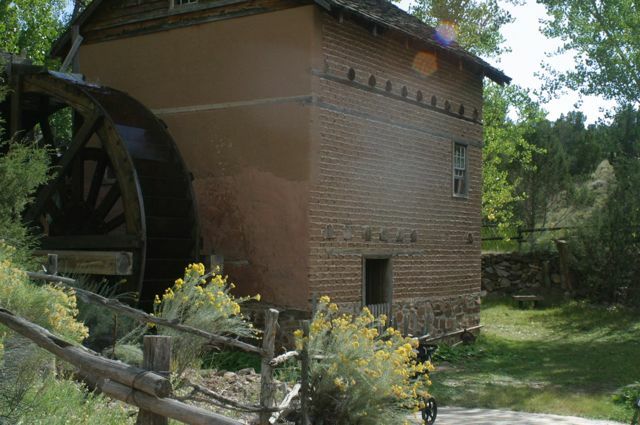 Here are five of my favorite things to do and see in the early New Mexico Fall. It was too hard to choose just a few images to illustrate my amorous affection, so there’s a slide show at the end for those of my vast readership who, like me, just can’t get enough… enjoy! 1. 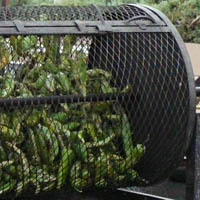 Green chile For those of you who have not been in New Mexico in the early Fall, I’m sorry to tell you you’ve missed out on one of the best local olfactory sensations: the smell of roasting green chile. Supermarkets and farm stands around Albuquerque haul out their propane-powered roasters and make themselves available for at least a month during chile harvest season, filling the air with a… burned spicy smell… that can’t be described with words. Has to be experienced. Everyone around here knows that regardless of what variety the tasty green treasures are, Slim Jims or Sandias, hot or mild, long or short, green chile is just green chile. Drape it on burgers. Scramble it with eggs. Roast your own on the stove. Make enchiladas or chile rellenos. Freeze lots to keep you warm in the winter. Packed with vitamins C & A, and leutin, it’s no wonder that spicy green chiles have been a New Mexico staple for hundreds of years. Love it! 2. Chamisa This native sage blooms gold-yellow in the Fall and is one of my favorites. It smells like death but looks so beautiful in the landscape. 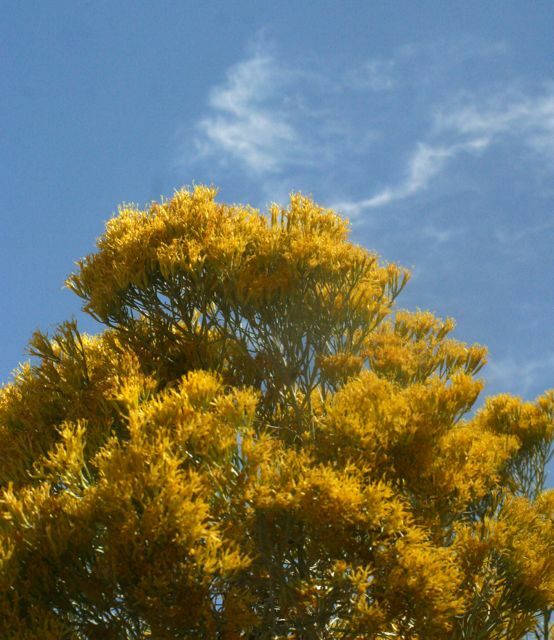 It’s like the last golden hurrah before the gloomy, colorless winter (all three months of it). The color yellow is associated with sunshine, awareness, clarity, and unrequited love (I’ll refrain from drawing conclusions here). It’s the easiest color to see on the spectrum because it reflects the most light, makes a great last burst of October color before winter. Stinky but beautiful. Love it! 3. El Rancho de Las Golondrinas Our Fall rituals include a trek to the Harvest Festival at El Rancho de Las Golondrinas living history museum, located on 200 acres of rural farmland just south of Santa Fe. Once a working ranch that was an important stop along the El Camino Rael (theroyal road that was the only line of transport between New Spain and the rest of the world in the 16th & 17th centuries), it’s now preserved as an example of Spanish Colonial life in New Mexico. Many of the buildings are original and others have been moved from other parts of Northern New Mexico and reassembled on site. Tortilla making. Blacksmithing. A working mill. Traditional music and dancing. A great way to spend the day. Love it! 4. Balloons I don’t make the Fiesta every year because I still have nostalgic longings for way back when… when the Fiesta was just a bunch of balloons on a quiet field with a burrito or hot chocolate stand here and there, eerie, dark and silent except for the whoosh of gas burners. Now, with its “main street” that reminds me of a strip from the State Fair, its corporate tents and constant music on two stages, the Fiesta is a different experience. But oh, well. We made it for mass ascension at the crack of dawn this year and the sky was as spectacular as the balloons. I was reminded of how beautiful, strange, and disorienting it is to walk around while these giant shapes come to life and fly away. There’s also a swanky new museum with an interesting history of ballooning. Bright colors. Strange shapes. Disorienting. Love it! 5. 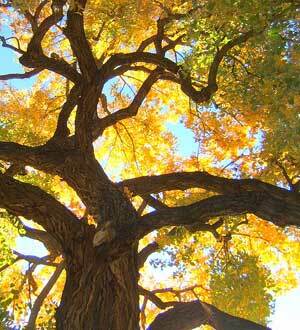 Cottonwood Trees These dark and twisty natives light up in the Fall each year with every shade of yellow imaginable. The entire bosque (forest) along the Rio Grande turns into a golden ribbon, especially if the weather stays mild. 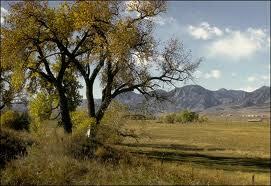 The Rio Grande Cottonwood loves water and is native from Mexico to Southern Colorado. I read once that it will spontaneously “explode” its own branches off in order to kill competing species below. That’s my kinda tree! In the 17th & 18th centuries, traditional santos (saints) were carved only from the roots of cottonwood trees. That’s how you can tell the antiques from the replicas–the antiques are very lightweight. In the Spring, female cottonwoods make little clumps of capsules with cottony seeds that fly through the air and cause allergy havoc (no wonder they’ve been banned). Heart-shaped leaves. Golden yellow in the Fall. Predatory. Carved into saints…. Love it! You had me at roasted green chile, he says ruefully trying not to drip saliva all over his keyboard. Hot-air balloons should be round and multi-coloured not stupid cartoon animals, advertising spa ce etc, where’s the magic and romance in that! My first trip to Albuquerque was this time of year (OMG it was 8 years ago!) thanks for evoking pangs of longing for the land of enchantment! PS Love the van goghlings! Yes, well perhaps those pangs should bring you back here sooner than later, painful air travel aside. And, Mr. Traditionalist, if hot air balloons are only supposed to be round (seen one, seen ‘em all), shouldn’t bicycles be only 2 wheels and one upright seat?! Yes, where’s the romance in a recliner on wheels? Or three wheels? One person facing forward and another facing backward on the same bike?! Please. I agree, nothing beats the simplicity and romance of the classic bicycle. However, if you like comfort, speed and smiling while you pedal then laidback is the way to go. Thank you Faith! When are you coming to visit?? We could have an art day in the studio or take the train to Santa Fe and look at all the museums & galleries. It would be great to see you. thanks for stopping by–!